Logitech G230 Stereo Gaming Headset. Folding, noise-cancelling boom mic: Reduces background noise for clear voice pick up and rotates up and out of the way. Sound completes the picture. And the lightweight design feels so comfortable, you might even forget you’re wearing a headset. 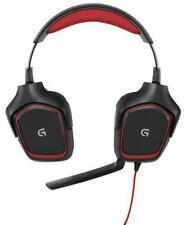 G933 Wireless 7.1 Surround Sound Gaming Headset. G933 amplifies your gaming, music and movie experience with unprecedented audio quality for all your devices. Customize colors effects across LIGHTSYNC mice, keyboards, headsets and speakers for new gaming intensity. Logitech G230 Stereo Gaming Headset. Sound completes the picture. And the lightweight design feels so comfortable, you might even forget you’re wearing a headset. Made for gaming: A pin drop, a bomb blast—hear it all. Need to check your side panels?. 640x480 raw resolution. Operation System: Windows XP/Vista/7/8. For sale here is aSennheiser Presence UC ML (504575). NEW IN BOX! ActiveGard Technology: Featuring patented hearing protection to defend against acoustic shock caused by sudden sound bursts. You’ll always hear where the enemy is coming from, and where your team is located, to strike with precision. It features an advanced 7.1 virtual surround sound engine for pinpoint positional audio that is totally customizable to your own preferences. And G933 headphones. 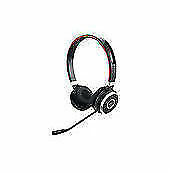 G933 Artemis Spectrum Wireless 7.1 Surround Gaming Headset Braided. 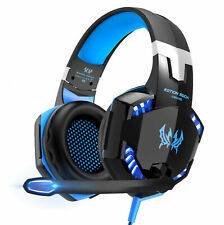 For G633 Artemis Spectrum RGB 7.1 Surround Gaming Headset. 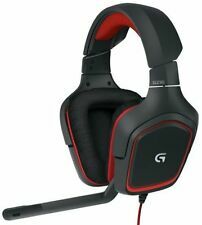 G633 Artemis Spectrum RGB 7.1 Surround Gaming Headset Braided 3.5mm. SteelSeries Arctis 3 - All-Platform Gaming Headset. Arctic 3 brings pure performance and style without compromise! Windows Sonic spatial audio - Fully compatible with native surround sound built into Windows 10 PCs and Xbox One consoles. Razer Kraken Pro V2. Learn more about the Razer Kraken Pro V2 at the Razerzone website. You’ll feel like you’re right at the center of all the gaming action, while ensuring your team’s shotcalls are heard with absolute clarity. Harness the power of audio processing right on your headset! Be amazed by what you hear, even if it's from the most compressed sources. Sound Blaster EVO ZxR's FullSpectrum 50mm audio drivers are capable of reproducing the full audible range of the audio spectrum, so you won't miss a beat. Up for sale is a Sennheiser Professional Wired Binaural Headset Model: SC 260. It's open box with original packaging. Please check photos carefully before purchasing. What you see in the pictures is what you get. Nothing more and nothing less, unless otherwise noted. I ship very FAST. =====》> **Returns are expected to be in same condition as shipped and New items remain unopened. Picture of items are required before returning. ** Feel free to ask any questions! Let's be clear and absolute before sealing the deal! Thanks for looking! Compatible with G933 / G633. Style : Hyperbeast. Logitech G933/G633 Removable. What if I change my mind?. Note if you have received the goods and requested a cancellation you have a ?. duty of care?. Sony MDR-1000X Noise Cancelling Wireless Bluetooth Over Ear Headphones - Grade A. Noise cancelling with reduced ambient noise for perfect silence. Digital noise cancelling technology. 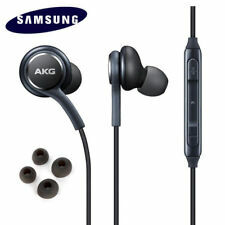 Supplied with Sony Micro-USB, Auxiliary cable and Carry Case. Seal has been broken and the box has been opened. Tested and working. 53mm neodymium drivers. Verbindung: schnurgebunden. Aktive Geräuschunterdrückung (ANC): Nein. Weniger Umweltbelastung. Sie sind zur Rückgabe gebrauchter Batterien als Endnutzer gesetzlich verpflichtet. 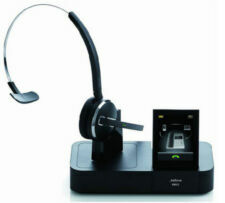 Jabra UC Voice 750 MS PC-Headset duo grau. Sennheiser consiglia questa cuffia ai giocatori professionisti che vogliono una cuffia gaming high-end e con cancellazione del rumore professionale. Cuffia dinamica chiusa, tipo circumaurale. Design acustico: Cuffia chiusa. 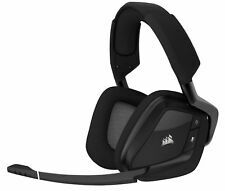 Logitech G533 Wireless Gaming Headset DTS 7.1 Surround Sound READ! TEST WORKING GOOD, HEADSET AND USB CABLE ONLY. Sorry, No Exceptions. This item is classified as Manufacturer refurbished by ASUS. ASUS tests and confirms that the item is fully functional. This item may show slight signs of use. We are sure the problem can be resolved ! HyperX Cloud II is certified by TeamSpeak and optimised for Skype and other leading chat programs. HyperX Cloud II Gaming Headset. Virtual 7.1 surround sound provides you with an upgraded level of audio precision that will give you a competitive edge. G633 is a full-featured premium gaming headset worthy of serious audio fans. With customizable RGB lighting, sound profiles and G-key macros, G633 is all in and all you. Be heard loud and clear, even in a noisy space. Tested to be in excellent working condition. 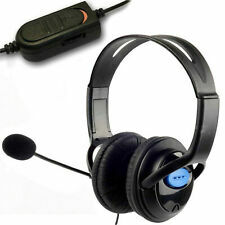 Product information G430 Headset. Series G430. No sound coming from gaming headset If you are n0t hearing audio from your gaming headset, try the following You can hear up to seven discrete channels of audio data plus the low-frequency effects channel, known as 7.1 surround sound. Optimised for Microsoft Lync 2010 and Microsoft Office Communicator, simply connect to a computer and its ready to go. We will do all that we can to resolve any issues swiftly and amicably. 100%NEW .